The Good Life Farm Co. sells local honey and bee products. Currently we are in a honey drought so it will be a while before our next batch is available for purchase. If you would like to be notified when our small batch honey becomes available, please contact us. Meanwhile, if you need assistance with capturing a bee swarm in the Central Victorian area (eg. Macedon Ranges, Bendigo, Mount Alexander, Hepburn Springs, Sunbury), call Claire on 0403 843 314! A hive share is a chance for you to co-manage a bee hive with us. 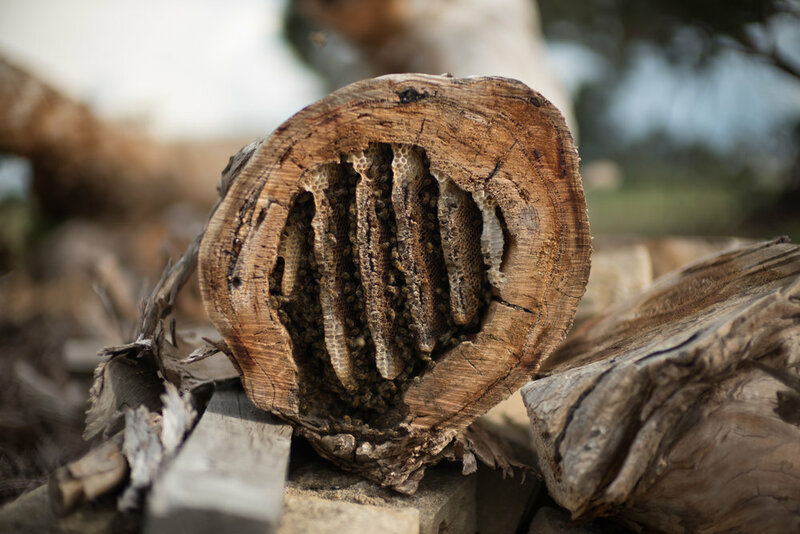 A yearly subscription will allow us to purchase a new hive and offer you the chance to learn how to build a bee hive,to open your bee hive with our support, and to harvest your own honey. It allows you to learn the specifics of bee keeping and to increase the bee population. The concept of the hive share was born when some friends from Melbourne wanted to start beekeeping but were unsure of how to care for their bees. They were also not sure if they wanted to commit to having a hive full time. At the same time I wanted to increase the number of hives I owned. We agreed that for a set fee I would purchase a hive in their name, and for the next 12 months they could visit our farm to learn how to care for the bees, build hive boxes, and extract honey. At the end of the year they could buy the hive or allow us begin managing it. We are currently taking expressions of interest for Spring 2019.